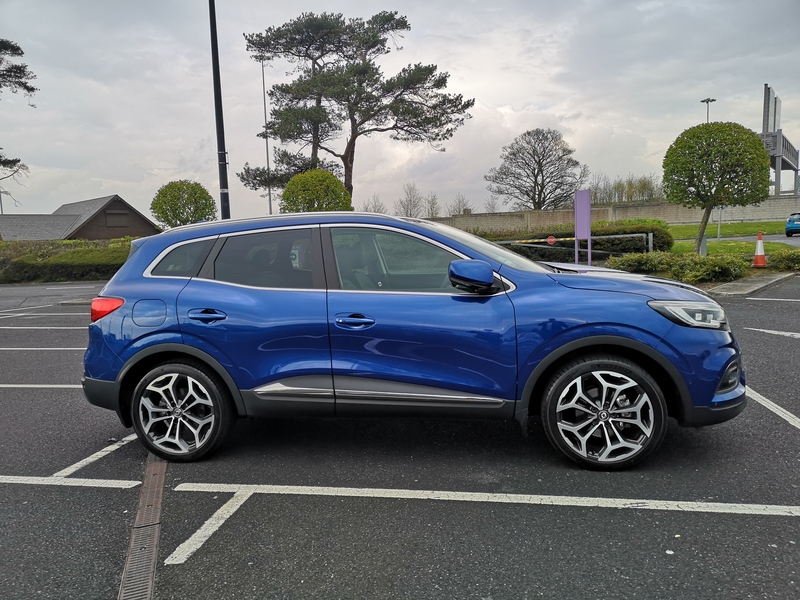 The Kadjar has been a successful model for Renault. It was the brand’s best selling model in Ireland in its first full year on sale in 2016 with over 2,500 units. With total sales of over 5,700 here, the arrival of a facelifted model this January is giving it a fresh impetuous, recording over 10% growth compared to the first three months of 2018. More efficient petrol and diesel engines, better equipment and revised styling are the key revisions to the latest generation Kadjar. Notably there’s a new 1.3 TCe GPF (gasoline particulate filter) petrol engine in power outputs of 140 and 160 hp which will appeal to urban dwellers not wishing to opt for diesel. It replaces the previous 130 hp 1.2 litre unit. For fleet buyers diesel will remain the overwhelming choice and there’s an upgrade here to a cleaner and more efficient 1.5 Blue dCi diesel engine, now with 115 hp up from 110 hp, while there’s also an all-new 1.7 Blue dCi engine with 150hp which comes in 4×2 and 4×4 versions and replaces the 130 hp 1.6-litre ENERGY dCi. Visual updates are relatively subtle. The front and rear bumpers now feature more body coloured areas, there’s a wider grille, while the indicator is incorporated into the C-Shaped LED lights. New types of 17 and 19-inch wheels, along with three new colours of ‘Oural Green’, ‘Iron Blue’ (as tested here) and ‘Highland Grey’ complete the exterior revisions. Inside the seats now have dual density foam for better support as well as offering length adjustment. There’s a new 7” R-LINK 2 multimedia touchscreen that’s flush mounted with the dash to provide a more streamlined layout and incorporates Apple CarPlay and Android Auto. Other details include better storage bins in the doors, 2 rear USB sockets and bigger cup-holders. Equipment levels on even the most basic versions are generous. Offered in four trim levels, entry spec Play versions include dual climate control, parking sensors, automatic lights and wipers. Iconic trim adds cruise control and speed limiter, parking camera, keyless entry/start, auto lights and wipers, navigation and privacy glass. Step up to the S-Edition spec and you get a half leather interior, panoramic roof and LED/Xenon lights, while the range-topping GT-Line has full leather seats, full LED lights and auto park. Our test car came with the 115 hp diesel in range-topping GT-Line trim. The engine is a highlight of the car, notably for its efficiency. Despite lots of motorway and city driving we averaged 5.2 l/100km in the car. That’s over 54 MPG – decent for any car, but certainly one of the most fuel efficient crossovers we’ve experienced. On the downside, it does run out of grunt fairly early in the rev range, but provided you’re prepared to drop a cog or two, there’s enough power to meet most needs. Overall the Kadjar grips and corners well enough, but it’s not a car that will stir the driving enthusiast. The steering feels too light and imprecise, while the gearshift also lacks a little bit of pin-point precision. 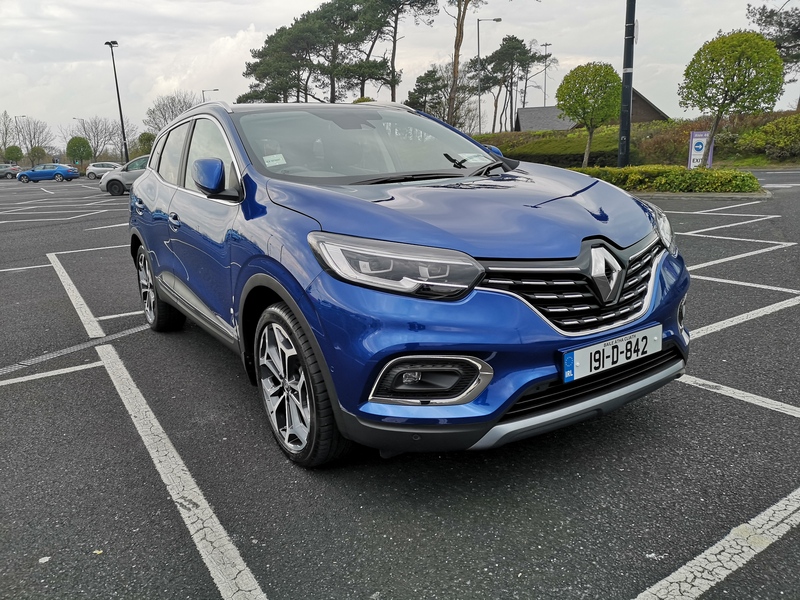 But on the other hand, it’s comfortable and easy to drive, which will appeal to a lot of drivers, and there’s good visibility to aid in tight manoeuvring. The leather interior fitted to the GT Line adds a touch of class and overall the cabin is well laid out and practical with lots of decent storage areas. It’s also a relaxing place to spend time – those new seats proved comfortable on longer journeys. We’re not fans of the instrument display though, which is a bit all over the place design wise. Compared to other more simple and stylish layouts it grates on the eye somewhat, though all necessary information is readily available. Spacious rear seating and a generous boot make this a practical family car. The Kadjar shares its underpinnings with the Nissan Qashqai, yet feels distinctly difference to its Japanese cousin. Its stylish looks help it stand out in a crowded field, while its very fuel efficient diesel engine will appeal to those looking for frugal motoring. 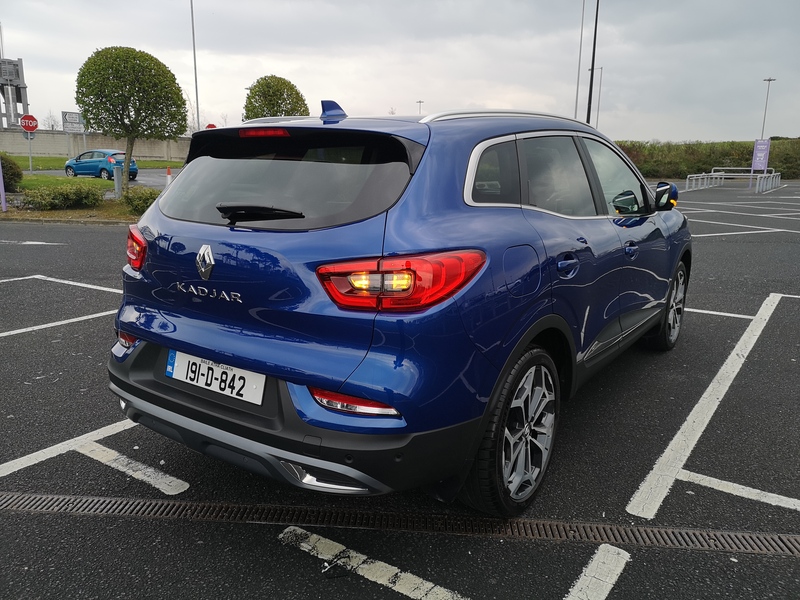 Prices for the Kadjar start from €26,995. The GT Line Blue dCi 115 version tested here has a retail price of €36,570.